At the farm working… I can’t tell you how nice it is to be in my messy office writing. I’ve caught up on my errands…some critical, some not so critical. 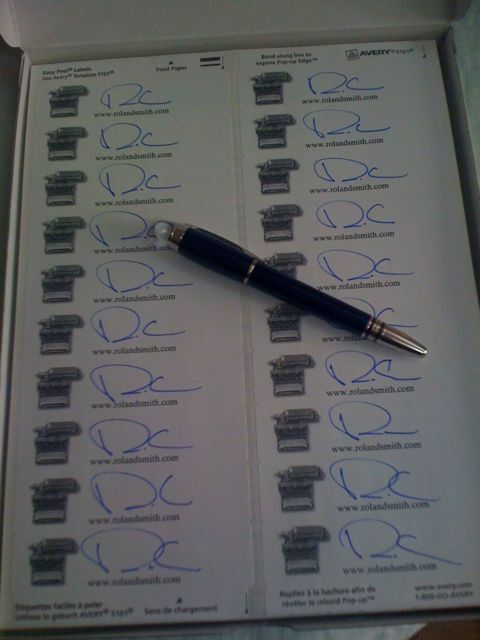 Last night I ‘listened’ to King Kong on TV (1976 version) while I autographed 4000 bookplates. I didn’t have to pay much attention to the show because I’ve seen all three film versions several times before. They all end the same with Kong on a building swatting at those pesky flyboys before his tragic demise. Good news! Marie comes home from Mexico tonight. It’s been almost three weeks since we’ve seen each other, but we have talked everyday. (In fact, she just Skyped me). We’ll be here in the Northwest at least through Thanksgiving, then we may head back south. I have 3 rather large projects to finish up in the next few weeks, which will take a long string of 10+ hour days. Finish: “I,Q Book Two: The White House.” (Yes, everyone can stop going to your local bookstore to see if it’s out. It has to get “out” of my office first. I will let you know when it is available). And finally I’m working on a new series that I can’t tell you about yet. Sorry. But again, I’ll keep you posted in this journal, on Twitter, FaceBook, my web page, and the newsletter, which you should all sign up for. When I get caught up on the above I will start working on the 3rd Cryptid Hunter book, which many of you have written to me about. (Keep those emails coming…I read them all). So how am I proceeding on these books? One book at a time on alternating days. Not the ideal way to write, but when you get jammed up like this there isn’t much choice. It’s going pretty well now that my writer’s brain has shifted from traveler/speaker gear into storyteller gear. P.S. I got an email from my author pal (and inventor of the cordless extension cord) Mike Spradlin last night. Read his very funny essay in Publisher’s Weekly. You can meet Mike on my “links” page.